Thanks be to our God, who leads us from victory to victory, and who manifests the fragrance of the knowledge of Him through His people. How great our God is and how small we are, and yet it is His good pleasure to use us to announce the glories and riches of His Kingdom. More than ever before, we are battling with the enemy and fighting off his fiery darts. I say this because with every increase in the proclamation of the Gospel, we find more and more obstacles. Now more than any other time we are seeing that for many people, Christ is the Stone of Stumbling. To the degree that we are preaching the Gospel, many people have proven to be stubborn and cold, refusing to listen and obey the Gospel of repentance and showing the true desire of their heart. However, though there are many who do not have eyes to see or ears to hear, there have also been some that have listened and continue growing in the knowledge of the Gospel. The Lord has recently added another brother to our number. He is an older man named Sebastian, and he is a shepherd of sheep close to our home. When my wife and I met him, he explained to us that he had heard about the Gospel for many years, and that at one point he even traveled to a church some distance away in order to hear more about the Bible, since there were no churches close to his house. We talked with Sebastian about his life, and explained to him the message of the Gospel. The Lord opened His eyes to understand little by little, and, since that day he has come faithfully each Sunday to our church meetings, and he is growing in the knowledge of the truth. It has now been two months since he began attending our services. We hope by the mercy of God that Sebastian will continue faithful in the Lord and that he would increase in understanding. 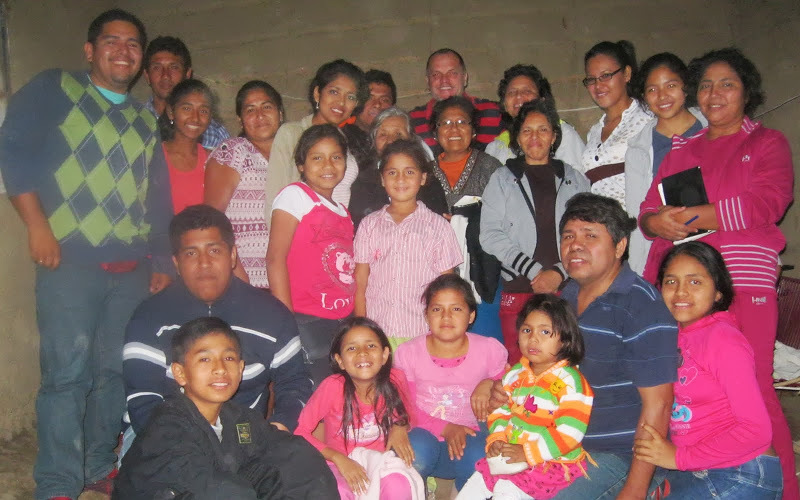 Also, pray for the life of Blanca, a young woman who has begun coming to the church with her two small children. She visits the church regularly, and we are praying for her salvation. Our great goal as a church is to know more of God. We firmly believe that as a regenerate people, the knowledge of Him will cause us to love Him more, and as a result, to serve Him effectively. We are still a young church plant, and are not large in number, but I see in the believers an abundant love for the work of the Lord. It has been a great satisfaction and encouragement for me to see our prayers worked out in the lives of the brothers and sisters of the local church. We ask for the prayers of you all, that we would continue growing in a love for the Lord and that we would have a constant passion and longing for His glory. I know that God is greatly blessing us, and I consider all the trials and battles to be blessings, knowing that through them He is molding us to His character.